As part of the DoMore4Hammarsdale project, local vegetable growers are exposed and encouraged to adhere to the organic farming best practice methods which have assisted them to tap into a niche market. From November 2016 to mid-January 2018, the Sixhoshindlala Cooperative has been assisted in setting up a small-scale pack house to help growers with the collection and packaging of vegetables from the 13 existing communal gardens. The fresh vegetables are supplied to the RCL Foods Shop in Westville and Eat Fresh twice a week. The surplus is thereafter sold to the general public and local informal markets. 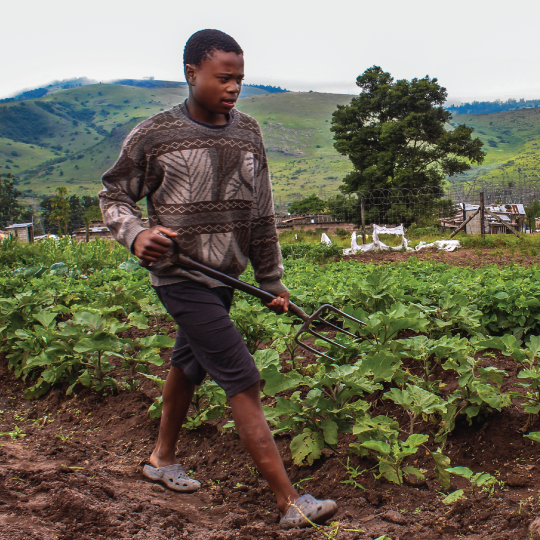 These market linkages have generated a total of R 880 000.00 for the growers and their families – continuously motivating them to increase production, wake up early and invest their time into the gardens.